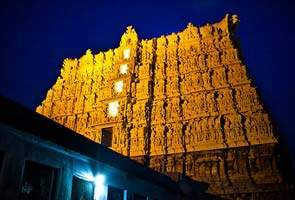 It is popularly believed that vault B of the temple is stacked with silver plates, gold and precious stones besides ancient idols. Local belief is that opening the vault will bring destruction upon the ancient temple and the people at large. Although the Supreme Court has decreed that vault B can be opened after consulting the royal family of Travancore, the family has informed the Vinod Rai Committee that it is not in favour of doing so. Asked about historic accounts that vault was indeed opened in the presence of the then Maharaja of Travancore Sri Chithira Thirunal on December 6, 1931, Adithya Verma said it must have been only the ante-chamber to the vault and not the vault itself. Varma pointed out that an attempt by judges M N Krishnan and Rajan to have the vault opened failed 2012. After the ante-chamber was opened, Justice Rajan sustained an injury and the attempt was given up. Different accounts say that vault B was opened more than seven times in the past. But the royal family is challenging such claims; just two ante-rooms opposite the the vault but not the vault itself. “Vault B has two rooms. The ante-chamber to this room was opened in the past. To our knowledge vault B has never been opened,” said Adithya Varma. Historian M G Sashibhooshan questioned the Travancore royal family’s belief that opening vault B would cause serious consequences. “It is illogical to give too much importance to astrologers in the 21st century. If the tantries had forbidden the opening of the vault, they should have made clear the reason behind it,” he told New Indian Express. Sashibhooshan said the Vinod Rai Committee has stated that the vault was opened seven times in the past. If the claim was wrong, the royal family should have moved the Supreme Court seeking to delete the claim from records. Chithira Thirunal Balarama Varma. It was T Austin, the then diwan of Travancore who wrote the introduction to the book. He said the book is still available with the Kerala University Library and State Legislature Library. He also pointed out that Diwan Sir CP Ramaswamy Aiyer who banned several books during his tenure did not ban this book. In the book it had been stated that a portion of the treasure had been shifted from the vault. “At some time the treasure might have been shifted to the state treasury. There is no record how the treasure was utilized,” he said. He points out that some newspapers had carried news about the opening of the vault in the 1930s.